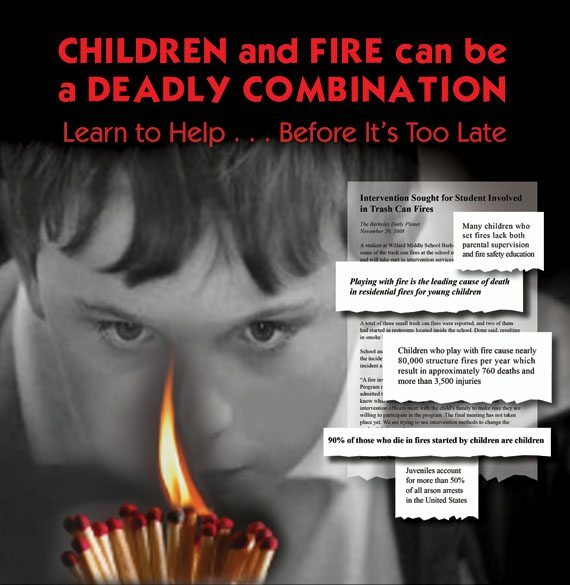 According to the United States Fire Administration, 75% of children between the ages of 3 and 17 experiment with fire. The median age they begin experimenting with fire is 5 and 53% of all arson arrests are children. For every 100 people who die in fires in the United States, 24 are killed because of children playing with fire. For children, interest in fire is natural; setting fires is not! If you would like to refer a child to our Juvenile Fire program, please call (417) 864-1699 or DOWNLOAD our referral form and email to cerwin@springfieldmo.gov.